The National Testing Agency (NTA) has released the Admit Card for the Joint Entrance Examination (JEE) Main 2019 April session. The admit cards can be downloaded from the official website – jeemain.nic.in. Admit cards have been released for the candidates who have paid the fee as on 8th March 2019. NTA will be conducting the JEE Main April session exam from 7th to 10th April 2019 and on 12th April 2019. Click on ‘Download JEE Main April 2019 Admit Card’ button. You can download the admit card using your application and password or application number and date of birth. Select any one of the options. Check all the details carefully and take a print of the admit card. Candidates must note that no admit card will be sent by post. Candidates are advised to read the instructions written on the admit card carefully and follow the specified code of conduct during the exam. JEE Main admit card is a mandatory document to carry to the examination centre. No candidate will be allowed to enter the examination centre without admit card. Keep the admit card safe till the counselling/admission process gets over. As per the official notification, candidates are required to reach the examination centre two hours before the commencement of examination. So, do note your shift timings and reach the examination centre well in time. Problem in Downloading the Admit Card? If you are having any problem in downloading the admit card, report the same to the National Testing agency (NTA) through email at jeemain-nta@gov.in. The first phase of the JEE Main examination i.e. January session was conducted from 8th to 12th January 2019. The admit cards for the January session exam were released on 17th December 2018 at the official website. 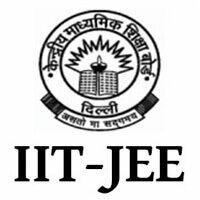 Qualifying the Joint Entrance Examination (JEE) Main is a criterion for admission to undergraduate engineering programme at IIITs, NITs, and other Centrally Funded Technical Institutions (CFTIs). Other than this, the candidate’s performance in class 12th is also considered for engineering admissions. From the year 2019 onwards, the National Testing Agency (NTA) is going to conduct the JEE Main exam, which was earlier conducted by the Central Board of Secondary Education (CBSE). 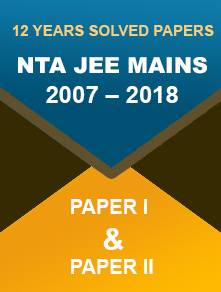 NTA will be providing two attempts for the JEE Main exam from the year 2019 – first in January and second in April 2019. However, the best score of the two attempts will be considered for the preparation of Merit list. 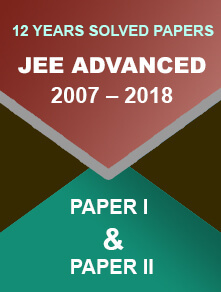 Candidates who qualify the JEE Main exam become eligible for the JEE Advanced exam. It is conducted for admission to undergraduate engineering courses offered at the Indian Institutes of Technology (IITs).